The Rolling Stones, Bob Dylan and Paul McCartney are three of the six major classic rock acts that will share the stage at Desert Trip, a three-night concert event in Indio, Calif. this October. Organizers of the "once-in-a-lifetime concert" announced the lineup on Tuesday, although rumors of the show were already circulating online. 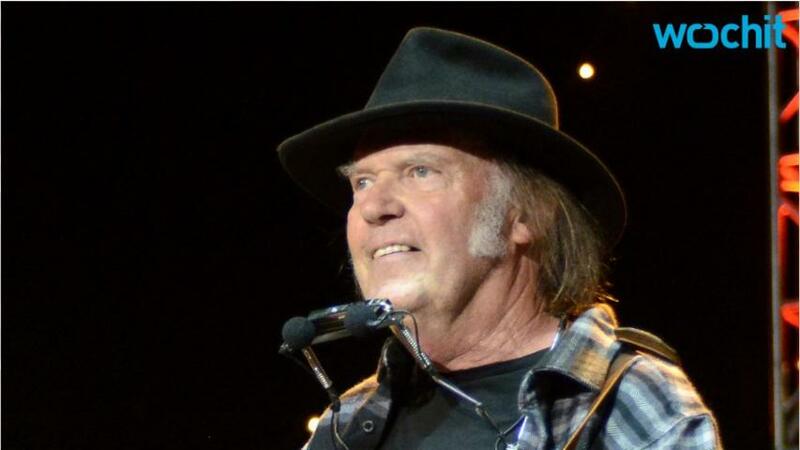 Roger Waters, of Pink Floyd fame, is also on the lineup rounded out by Neil Young and The Who. The Stones and Dylan will kick the the weekend off on Friday, Oct. 7, followed by McCartney and Young on Saturday, with Roger Waters and The Who closing the concert on Sunday night. 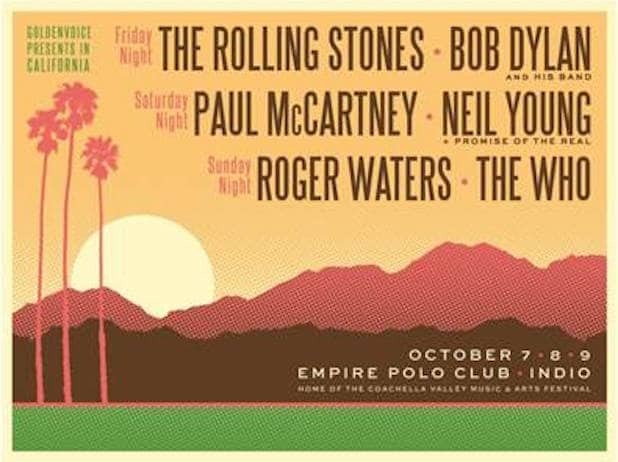 Desert Trip will take place at the Empire Polo Club, the home of the Coachella Valley Music and Arts Festival, with performances beginning after sunset each evening. Tickets will go on sale on May 9, with general admission priced at $399, and reserved seats ranging from $699 to 1,599. Single day passes are $199.